The Steel Empire is an old and powerful nation that has spread its might across the whole Neter. As most of us know, this wouldn't last (I mean, have you seen the campaign's name?) and eventually the civil war ended with the Empire being split apart, leaving behind the Steel Striders. Here however the Empire is at the peak of its power, wielding its full military might against its insurgents. Thus the Empire is easily the most advanced faction in the field, overshadowed only by their own renegade scientists. The SE force is the closest to a conventional military wielding classic vehicle designs, though each should have at least some kind of unique spin. Sponsons, hull-mounted guns, particle cannons and the like are very much welcome. Rhino has been fully updated, ready for integration. 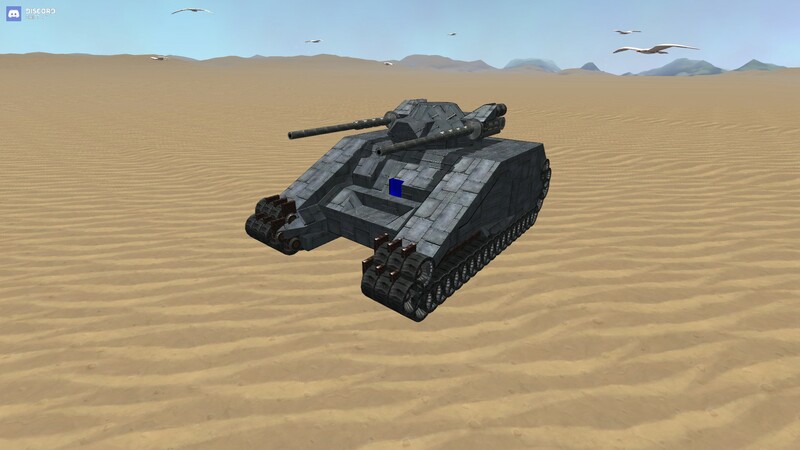 thought the SE thread could use some love, auto-cannon battle tank trying to get it to fire bursts of as many shots as possible similar to the bullshark also has 2 side sponsons of 600mm crams which do a decent amount of damage and plans for some missiles if i can figure out where to put um, could also maybe fit the tank destroyer role but not in the common sense as its going to be a heat machine. Now that the Centaur and the Mare are done, I'd like to give the TD/Rail tank slot a shot. Majyst mentioned in another thread about including a LAMS/ordinance defense heavy vehicle for the SE. I'm not gonna claim that I'm a microsoft paint artist or anything, but it gives a pretty good idea of what I'm thinking. It holds a modified version of one of the the Revox's nukes, docked to a launch platform that angles up to about 45 degrees. Also, it has a secondary fixed, slow firing, high gauge HEAT or HE cannon. 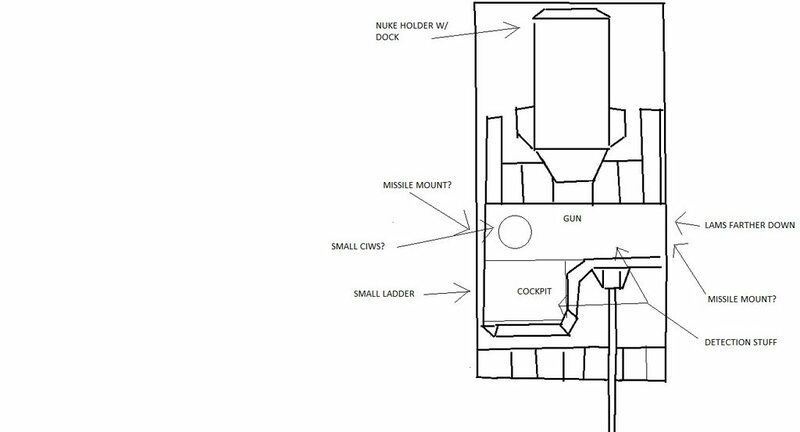 The majority of the internals would be dedicated to laser systems, and the external would be covered in laser points, anti missile missiles, and maybe a small CIWS on top. I'm just curious to what you guys think about it as a design, and if I should try to add/remove some things to it before I start. I think it looks great as a concept. I dont know how you will fit a CIWs on it that is worth anything, but I hope you do.